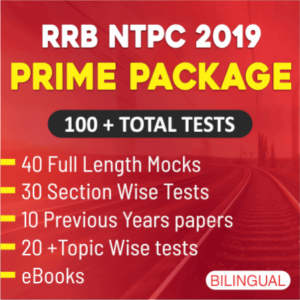 RRB NTPC Recruitment 2019 included a total of 35,277 vacancies for Non-Technical Popular Categories (NTPC) for different posts in various Zonal Railways and Production Units of Indian Railways. The exam is tentatively scheduled to be conducted in the month of June to September 2019. Only a few months are left for the exam and you have to devote this time completely to your preparation in order to surpass the high cutoffs. The foremost step that an aspirant must take before appearing for the exam is to practice the previous year papers and analyse the type of questions asked previously in the exam. It gives you a fair idea on how to improvise your studies so that you can prepare accordingly. Now the question is, where will you get the previous year papers? Adda247 is here to provide answers to all your questions. 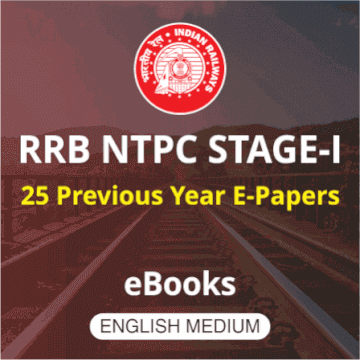 To ease your preparation, Adda247 is providing RRB NTPC Stage I Previous Year E-Papers eBook (English Medium) so that you can practice extensively without any hindrance. This E-Book is available at a minimal cost of Rs 249. 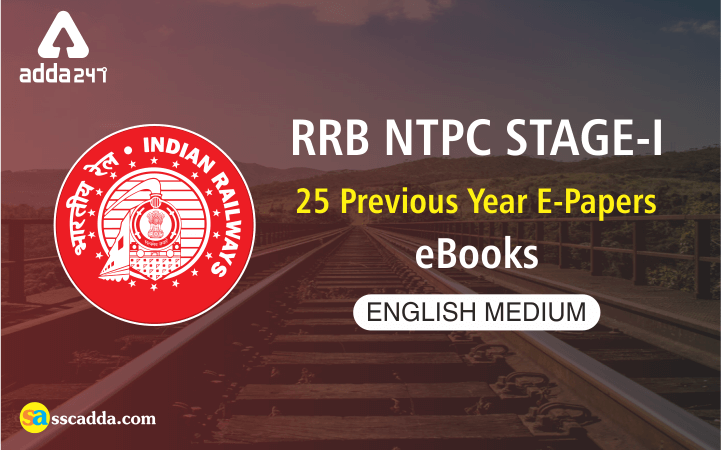 The E-book will include 25 Previous Year E-Papers of RRB NTPC Stage-I. The papers will boost your preparation and will make you exam ready.